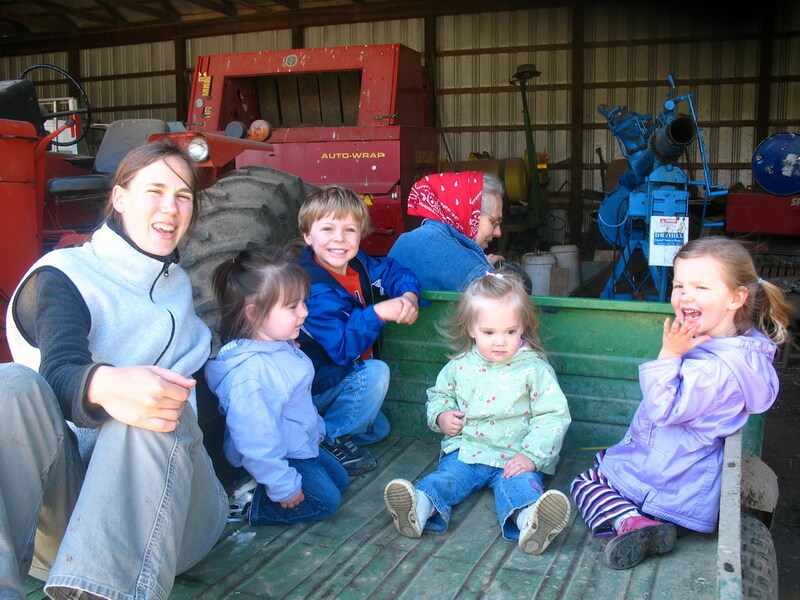 Last Thursday I took Noah and Hannah to meet our friend, Becky, and her 2 daughters at Becky’s family’s dairy farm. It was a beautiful, although very windy, day and everyone had a great time. All the kids are around the same age and had so much fun. We arrived close to lunchtime so we ate a wonderful meal before heading out to see the cows and calves and explore. 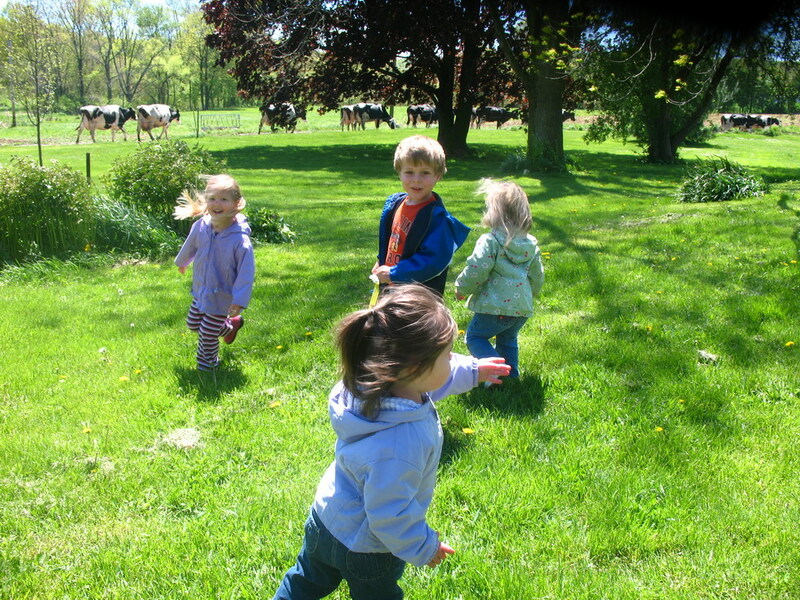 The 1st thing we did was watch the cows walk down the lane to their pasture for the afternoon. Afterwards we visited the calves, the youngest of which was only 5 days old and very cute! 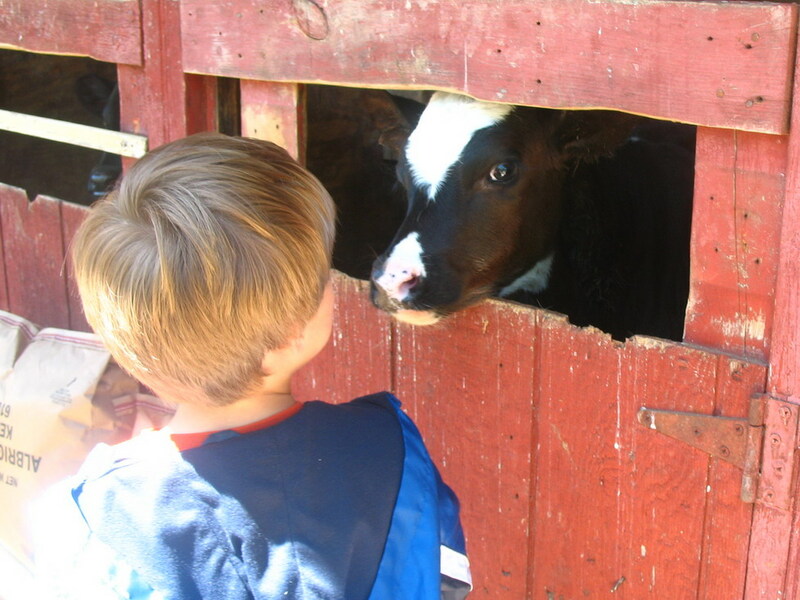 Noah fed one of the calves and another wanted to get a closer look at him. Do you have any milk for me? All the kids loved the ride we took in the Gator, especially when we rode across the stream. We had some cookies and fresh milk before we left…yummy! 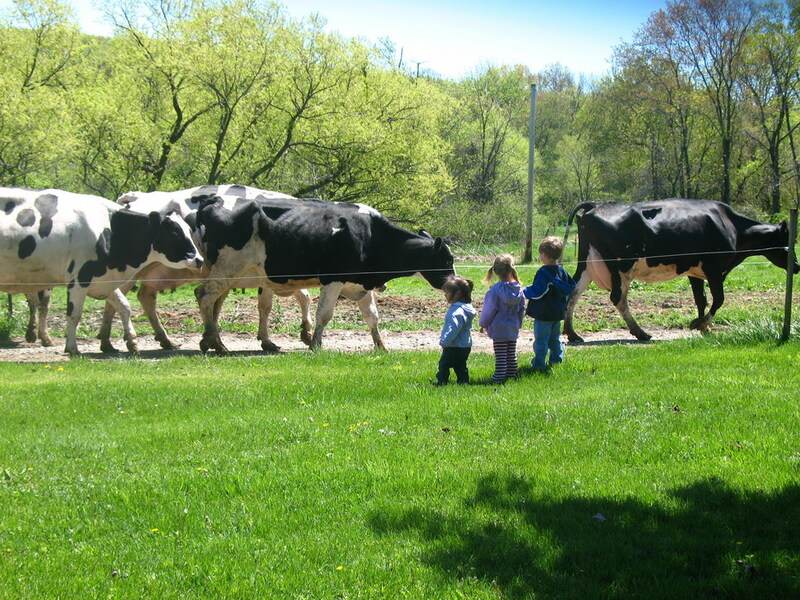 We were all dirty and smelly after our adventure on the dairy farm but it was worth it – we all had a lot of fun.